ST. AUGUSTINE, FL. – Jim Hahn spent nearly 30 years with Northbrook-based KemperSports, leading the management efforts of all the Chicago Park District golf courses as well as suburban layouts Waters Edge, in Worth, and Rob Roy, in Prospect Heights. He worked with Kemper facilities in other parts of the country as well. Now the former Libertyville resident remains in golf, but with a far different facility than those he guided for Kemper. Hahn (pictured below) took over general manager duties at the two courses at World Golf Village, an iconic links destination that also includes the World Golf Hall of Fame. 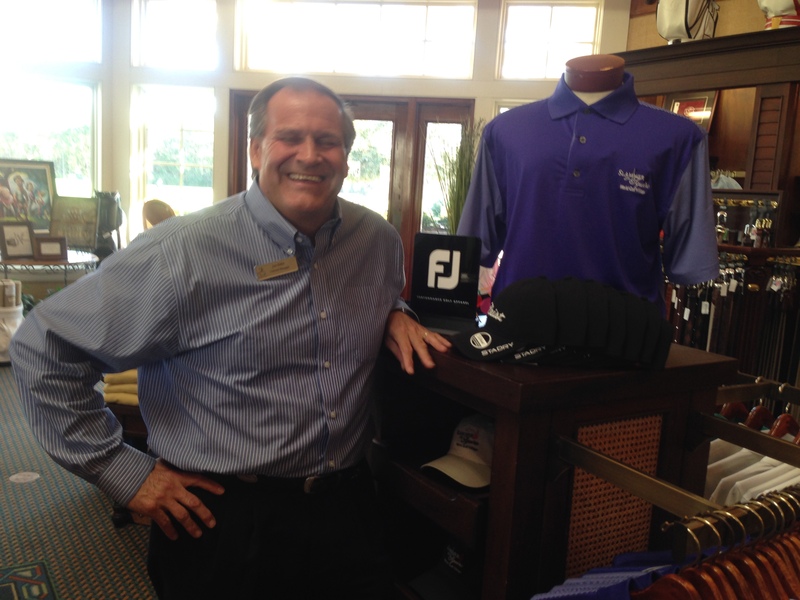 He’s been at World Golf Village for a year, since leaving his last Kemper post at Cape Fear National in Wilmington, N.C.
World Golf Village, which opened in 1998, has undergone some changes and is gradually rebranding itself as a place offering more than golf. Now it’s going by the name Renaissance World Golf Village Resort and Convention Center. The resort and accompanying residential community is spread over 6,300 acres. 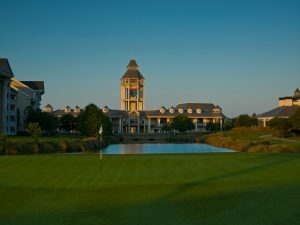 In addition to the King & Bear and Slammer & Squire golf courses and the elaborate Hall of Fame, World Golf Village includes a recently renovated Renaissance Hotel, one of the largest (300 seats) IMAX theaters in Florida, PGA Tour Golf Academy and a state-of-the-art spa all just a few miles from the heart of historic St. Augustine, the oldest city in the U.S. The resort concept was initiated by Jeffrey Oliasami after he took over as general manager of the Renaissance shortly before Hahn ‘s arrival. All the components of a resort are there, but they have private owners. Honours Golf, based in Birmingham, Ala., owns the two courses. Marriott owns the hotel. The Hall of Fame is owned by its own association. BlueGreen has time shares available. The Murray brothers’ Caddie Shack bar-restaurant and the convention center are also part of the package. There is one reminder of the tough times World Golf Village went through prior to the rebranding. A series of retail shops are vacant, probably because they’re too far off I-95 to attract shoppers who aren’t staying on the property. Otherwise, though, things are on the upswing – especially at the two very unique courses. Both opened about 10 years ago and had interesting creative concepts. The Slammer & Squire honors legendary players Sam Snead and Gene Sarazen. Bobby Weed designed the sporty course, which is on the short side compared to The King & The Bear. The only course co-designed by Arnold Palmer and Jack Nicklaus, it’s the more challenging layout. The finishing hole at the Slammer and Squire course sets the tone for World Golf Village. Honours Golf took over both layouts long before the economic downturn of the last few years. Honours owns about half of the 15 courses it operates in the southeastern United. States. Primary owners are Bob Barrett and Rob Schultz. Barrett had been an assistant professional at Augusta National and head pro at Quail Hollow – both sites of PGA Tour events. He was also involved in the start of the Robert Trent Jones Golf Trail in Alabama. Both the World Golf Village courses are well-conditioned, and improvements were recently made at the Slammer & Squire clubhouse. They’ve been vying for golfers with a variety of nearby courses while resort business picks up. A goal for the golf operation is to bring back more resort play – a challenge with the famed Pete Dye-designed TPC Sawgrass just a few miles away. Sawgrass, home of The Players Championship, has one of golf’s most famous holes. Its par-3 17th has an island green that alone is an enticement for visitors. 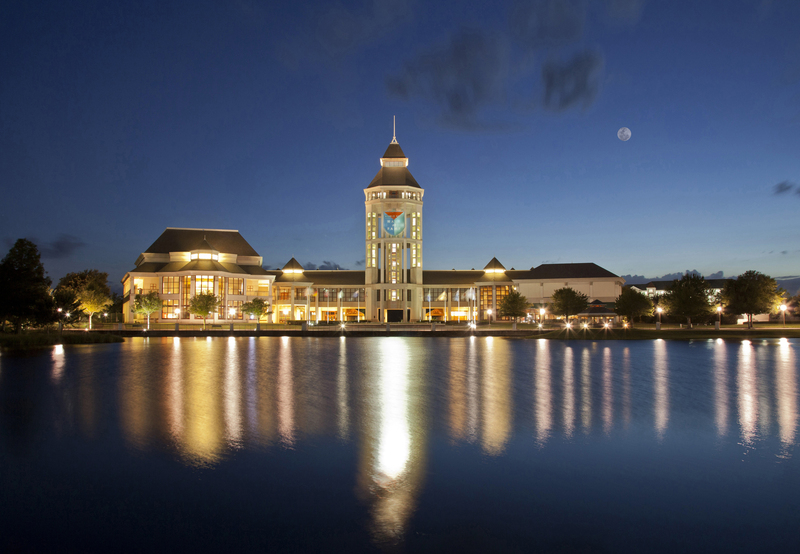 Sawgrass recently boosted its fees over $400 per round. No other resort can offer the spectacular World Golf Hall of Fame, a facility rich in historical memorabilia that also includes a unique putting course and hole-in-one challenge for its visitors. You don’t have to be deep into golf to appreciate what the World Golf Hall of Fame has to offer. Just the long-running Bob Hope exhibit is worth the price of admission. This year the Hall will carry on without its main annual event. There won’t be an induction ceremony during the PGA Tour’s Players Championship in May. Officials wanted to skip a year to allow for the revamping of the selection process. While looking forward to the return of the Hall inductions, Hahn doesn’t feel its absence with have much of an effect this year.